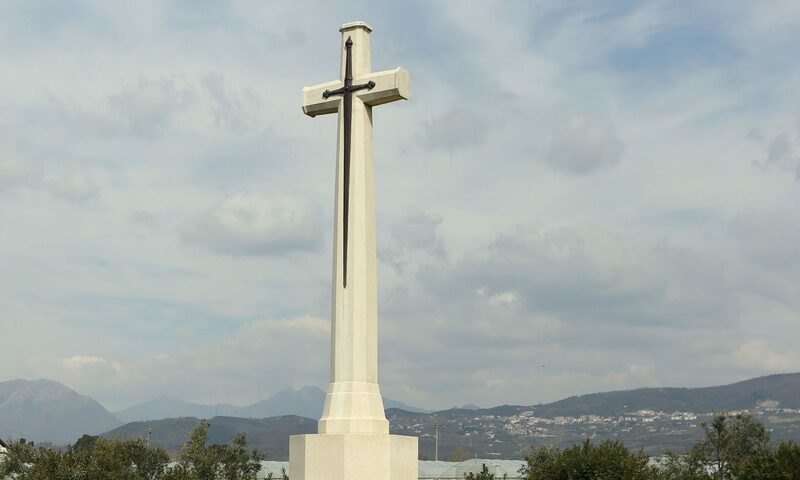 The cross at the Commonwealth War Graves Commission (CWGC) Salerno War Cemetery, in Italy. An Italian archivist is hoping to track down the family of a Dundee soldier who died in the Second World War after uncovering pieces of the man’s history. Gaetano Petraglia wants to connect with the descendants of Peter Brough, who was killed in action in Southern Italy in September 1943. Mr Petraglia discovered documents in local archives which explain Mr Brough died 70 miles south of Salerno, in the Basilicata region, when his patrol clashed with Nazis in a small village. His body was only recovered two months after his death, in a gorge. The mayor of the village near to where he was found wrote to the Italian authorities and the Allied Control Commission in order to organise a mass and commemorate the 5th British Reconnaissance Corps soldier. After the memorial service in the main church, Mr Brough was buried in the local cemetery. His body was later moved, at an undetermined date, to the Salerno Allies war cemetery. Mr Petraglia is now trying to find out more information about Mr Brough and has reached out to archivists in Dundee. He said: “I had also some information from the Dundee Central Library: before the war, Peter worked at the Wallace foundry in Dundee, and he had two brothers in the Second World War. “John was missed in France in 1944, the other one, it seems, returned safe. An article in the November 20 1943 edition of the People’s Journal says Mr Brough was the second son of Peter and Matilda Brough, with his brothers serving in the Royal Artillery and Canadian Army respectively. Mr Brough died as part of Operation Avalanche, the invasion of Italy launched by the Allies, who suffered a great deal of damage in the assault. The main invasion at Salerno, led by Lieutenant General Mark Clark, began on 9 September 1943 — eight days before Mr Brough was killed. The Allies had hoped the invasion would be a surprise, and as a result did not carry out preliminary naval or aerial bombardment. A war cemetery in Salerno now contains 1,846 burials from the Second World War, of which 107 are unidentified. The site for the cemetery was chosen in November 1943, and contains many burials resulting from both the initial landings and the fighting which followed. Other soldiers, like Mr Brough, were later brought in from a wide area of South-West Italy. Mr Brough’s name appears on the Dundee Roll of Honour. The trooper was 30 years old and lived on 91 Milnbank Road in the city. If you have any information on Peter Brough and his family, or believe you are one of his descendants, please contact reporters@thecourier.co.uk or call 01382 575955.